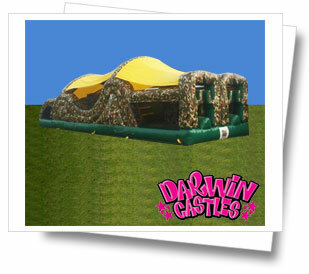 Camouflage Obstacle Course Jumping Castle. OK Team we have 12 meters to get through climb up the wall down the hill, through the barriers, squish through the tunnel and you’ve made it. 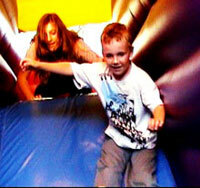 Grab a timer race your mates.Perfect for any event ,birthday party, vacation care and school functions. 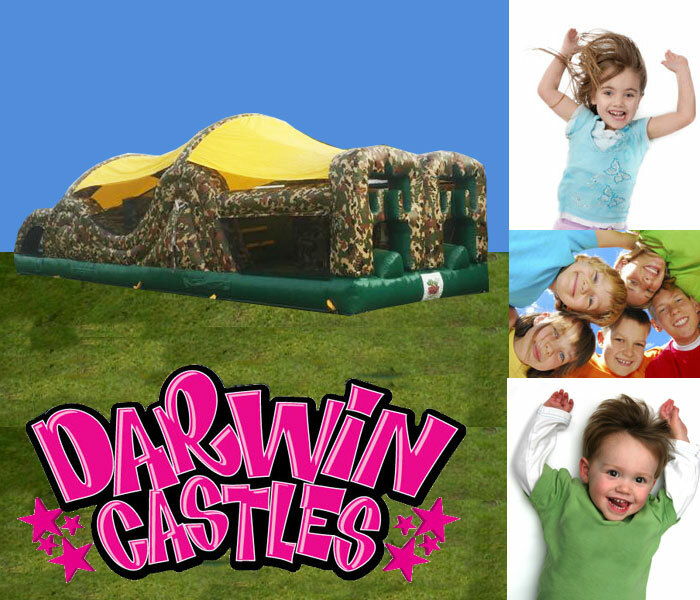 Moves large groups through fast!